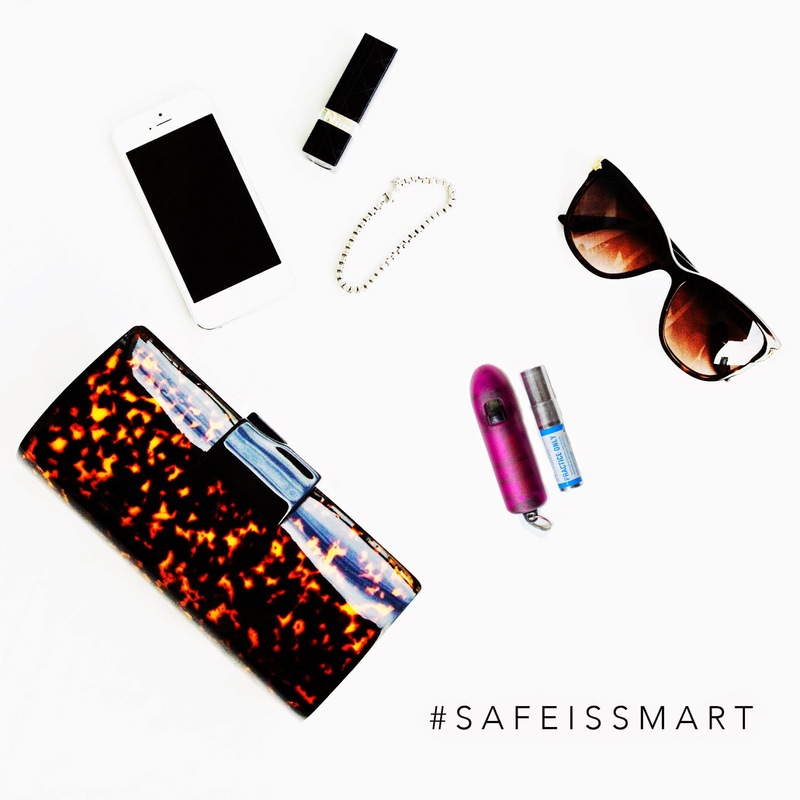 Safety has always been very important to me, especially now as a mom. 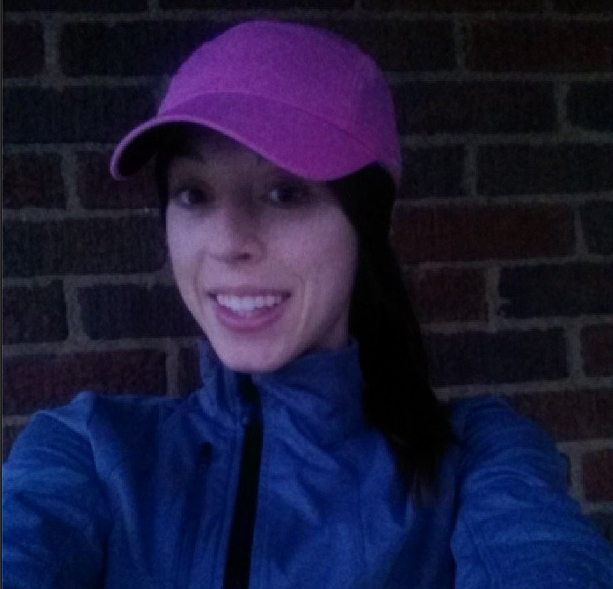 When I used to run early in the morning and it was dark out, I wore bright colored, reflective clothing, I also used knuckle lights and a flashing light on my hat or headband so I could easily be seen by cars. Safety is very important, especially with the crimes that go on. 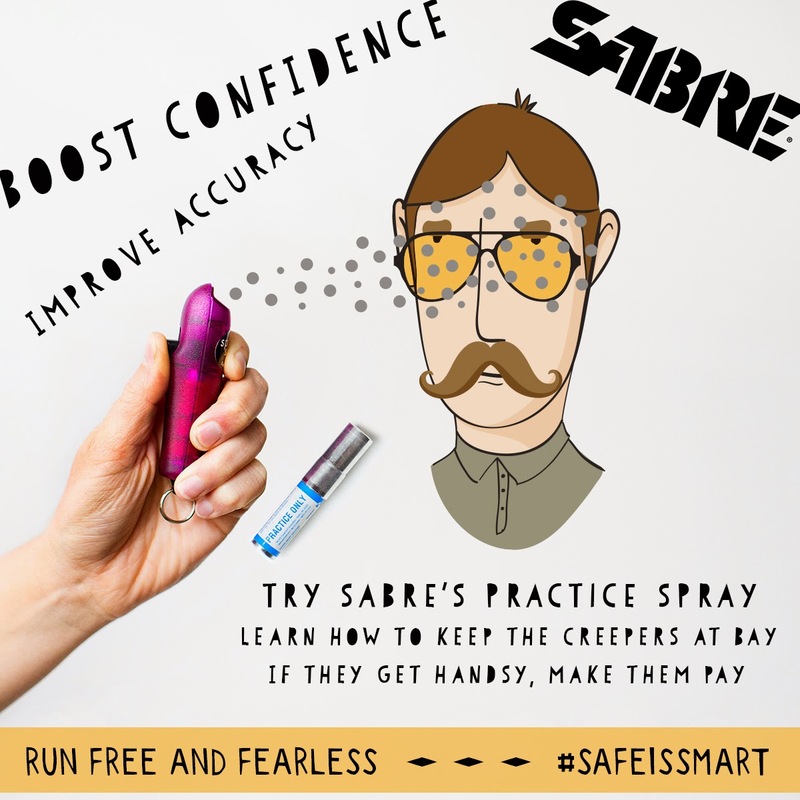 SABRE is a company that makes pepper spray. When I was in college, my boyfriend at the time and now husband purchased me pepper spray. He didn't like that I had to walk around campus after class in the dark and wanted for me to be safe. I often walked to see him in the dark as well. I carried this spray with me on any walks that I went on in the dark. Luckily, I never had to use it on anyone but felt safer with it. With daylight savings time being recently, it now gets dark so early. It is inevitable that you will have to be outside in the dark at times. Also, it doesn't get light as early in the morning as it does in the summer either so you really have to be careful. SABRE has been around for 4 decades and sells personal and home safety items. In fact, the New York Police Department and the U.S. Department of Defense uses these products. They provide different tools and education to help people feel empowered and to live safe and healthy lives. The SABRE Spitfire Pepper Spray is the most compact and fastest deploying key chain pepper spray out there on the market. It can be used over the shoulder or from the hip. It is easy and quick to use. It comes out in a cone pattern to look like a mist to really get the attacker. Check out this video how to use it. For safety in the dark, consider carrying pepper spray. If I were to go on a walk outside in the dark now, I would carry this for safety. Disclosure: This post is sponsored by SABRE. All opinions are my own.